(Jan. 23, 2019) -- UTSA today launched its Urban Education Institute, a hub to prepare future educators, strengthen community partnerships and raise the educational attainment levels and earnings of economically disadvantaged students. The new institute, based on the UTSA Downtown Campus within the College of Education and Human Development, will produce applied and conceptual research connecting theory to practice. The Raise Your Hand Texas Foundation, a nonprofit organization that supports initiatives structured to identify, pilot, and scale systemic improvements in public education, has committed to providing two million dollars in seed funding to support the institute. The funding will be used by researchers to complete longitudinal and impact studies, for the creation of a website with interactive data visualizations and to organize an education research-practice conference in 2020. It will also advance high quality teacher preparation by supporting clinical faculty in UTSA’s partner schools, and it will enable UTSA to become a partner of U.S. PREP, a national teacher preparation coalition. Located in San Antonio’s urban core, the institute is near several area schools and accessible to community leaders and stakeholders invested in K-12 and higher education. Margo DelliCarpini, dean of the UTSA College of Education and Human Development, said the goal is for UTSA researchers to create new approaches and develop solutions for the challenges facing urban education in San Antonio and to prepare future leaders in education. Through the institute, undergraduate and graduate students will get invaluable experience working alongside the nation’s top education experts to complete research projects and develop best practices in education. 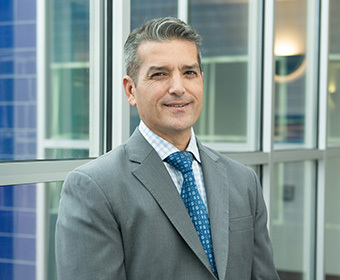 “Aligned with UTSA’s mission as an urban serving university, the institute is an educational incubator where transdisciplinary research teams, school districts and community organizations can discuss best practices to address equity and access across the P-20 educational spectrum,” said DelliCarpini. Michael Villarreal has been named the director of the UTSA Urban Education Institute. Michael Villarreal, a former state representative, has been named the director of the Urban Education Institute. Some of Villarreal’s legislative accomplishments during his 15 years of service in the Texas House of Representatives included the creation of a state longitudinal education and workforce data system, programs that supported prekindergarten, college student financial aid, college credit transferability and workforce development funding. As a first-generation college student and San Antonio native, Villarreal is passionate about improving the educational landscape in his hometown. “Big data is being used to analyze the impact educational policies and programs are currently making to improve postsecondary education and workforce outcomes in the city and region,” he explained. The institute is structured much like the University of Chicago Urban Education Institute, the University of Wisconsin System Institute for Urban Education, and The City College of New York’s Center for Urban Education, which have all been driving forces behind improved public education outcomes in their cities. “Our mission is to leverage existing student success efforts through applied quantitative and mixed-methods research and to develop new, innovative models in San Antonio that can be used in urban settings across the nation,” said Villarreal. Villarreal established a data partnership between UTSA and the San Antonio Education Partnership (SAEP), a program that has provided millions of dollars in scholarships and services in San Antonio for nearly 30 years. Together, they produced a study evaluating the SAEP scholarship program’s impact on college enrollment and degree completion rates. In addition, Villarreal has completed an impact study that estimates the effects that the Pre-K 4 SA program has produced on social and academic outcomes, including effects on third grade reading and math skills as compared to similar students enrolled in no public prekindergarten and the average public prekindergarten program. The results of the study are expected to be released in full at a January 28th board meeting of Pre-K 4 SA. Other research projects in the pipeline include creating a web-tool that informs secondary students how education choices affect postsecondary education and workforce outcomes and developing an interactive website that shares the story of San Antonio’s progress in raising educational attainment levels. A comic book to teach middle school students about dual credit and preparing for college is also underway. Additionally, the institute will provide research consulting services and resources to UTSA faculty, students, and stakeholders. Expanding upon UTSA’s partnerships with local school districts, Villarreal is working closely with 12 San Antonio school districts to vertically align their dual credit classes with UTSA and the Alamo Colleges District to improve student success rates. The institute has also established partnerships with several organizations such as the Greater Texas Foundation, the San Antonio Area Foundation, San Antonio Education Partnership, the Baptist Health Foundation of San Antonio, the City of San Antonio and Goodwill Industries of San Antonio. Read about the Urban Education Institute in the recent issue of Sombrilla magazine. Read President Eighmy's blog post on the Urban Education Institute. Learn more about Raise Your Hand Texas.